bits of good put together that overwhelm the world. The people I met in the small town of Piste taught me just how important these little bits of good are. 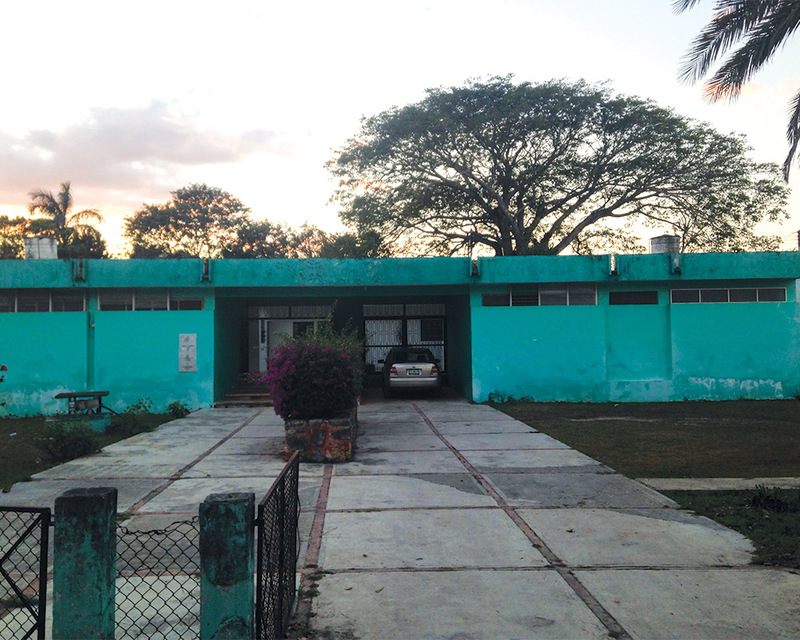 “El Jefe,” aka Dr. Perez, is known by most individuals as one of the best doctors in the area. 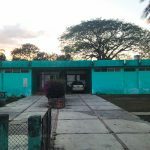 Six days a week, he works at a free clinic and owns his own 24-hour private clinic, Clinica Promesa, where he stays, along with his nurses, Gloria and Rosy. 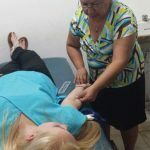 The nurses and Dr. Perez taught us many medical skills that we normally would not be able to learn until medical school and were patient with us when our Spanish was not as good as they had hoped. They taught me to cook real, authentic Mexican food and how to turn a clinic into a nightclub to learn cumbia and bachata (music and dance). However, the most important lessons they taught me were not about tangible things but about the importance of appreciating the little things in life and finding humor and happiness in every situation. Dr. Perez cares deeply about every one of his patients and always made it a point to make them laugh before they left his office. Almost every night, he was awakened by a patient at approximately 2 a.m., and he never complained once about his lack of sleep. 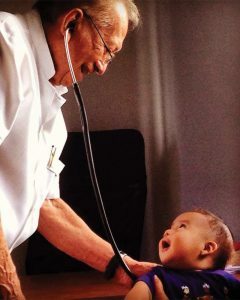 He told us that being a doctor gives us the opportunity to save lives, and for him, the work is not about the money but about true joy and deep satisfaction it brings him by giving to others. 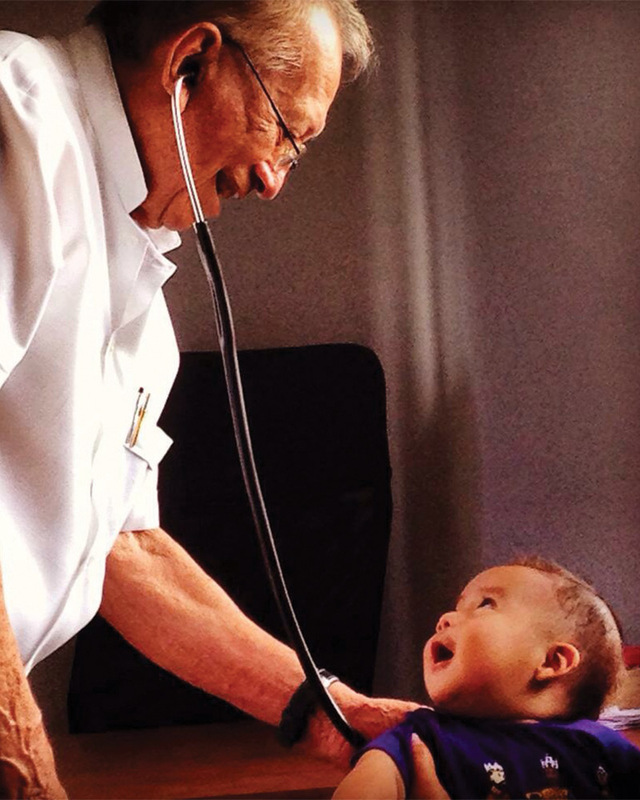 He is a huge inspiration for me to work in free clinics across the globe, and I hope to be half the physician’s assistant that he is a doctor. I think I can speak for all of the individuals who have experienced this internship over the years when I say it was an experience I will treasure throughout my entire life. If the world had more doctors and nurses like the wonderful individuals I met in Piste, it would be a better place. All it takes is a little bit of good humor and deep care for the individuals you know, and those you don’t know, and we can overwhelm the world. 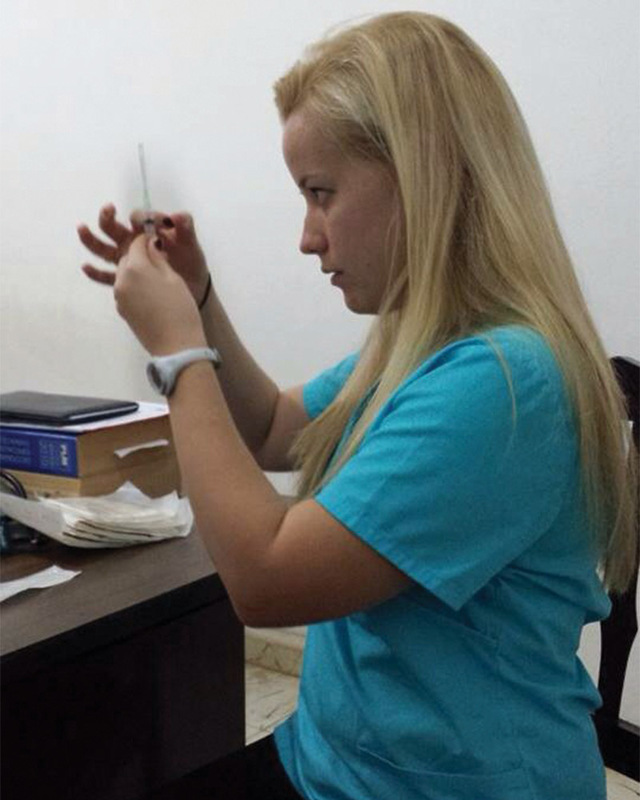 Christine learned early in life the joy of serving others; she also has had a long interest in medicine and biology. 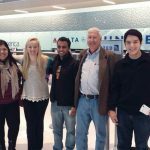 In high school, she decided that becoming a physician’s assistant would fulfill her passion to provide healthcare where it is most needed—and still have time to enjoy a family of her own one day. 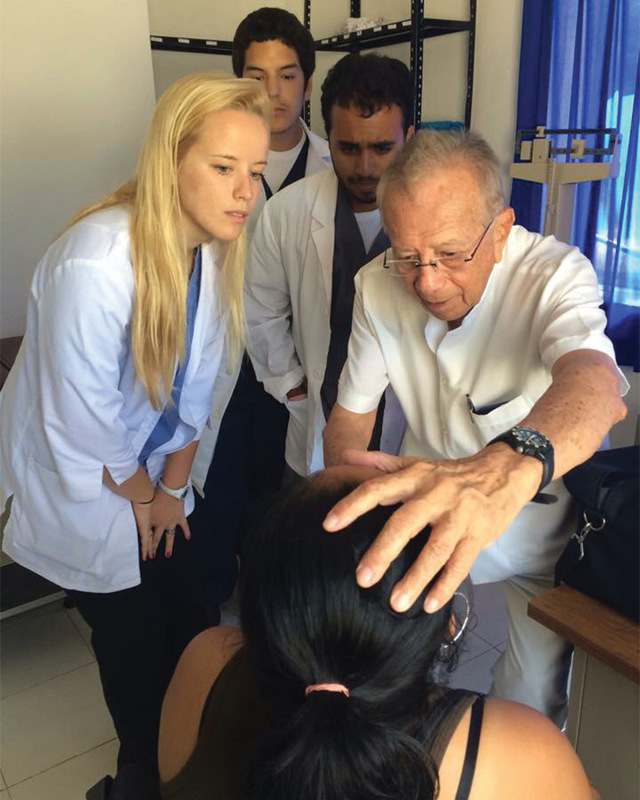 She has shadowed PAs, surgeons, and a neurologist; during other JanTerms, she volunteered at a clinic in El Salvador and at a non-profit public health organization in Brownsville, Texas. 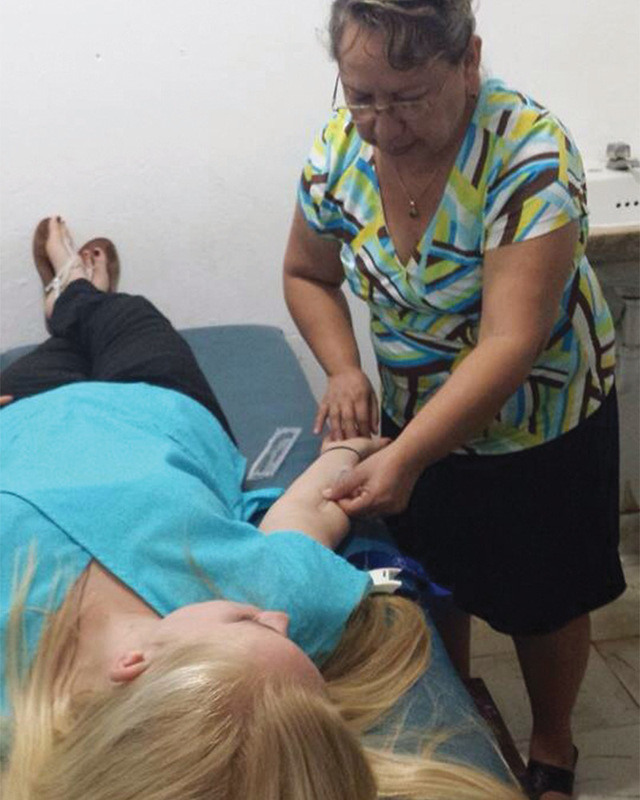 She also was a 2014 Global Outreach Fellow at an HIV/AIDS clinic in Uganda. 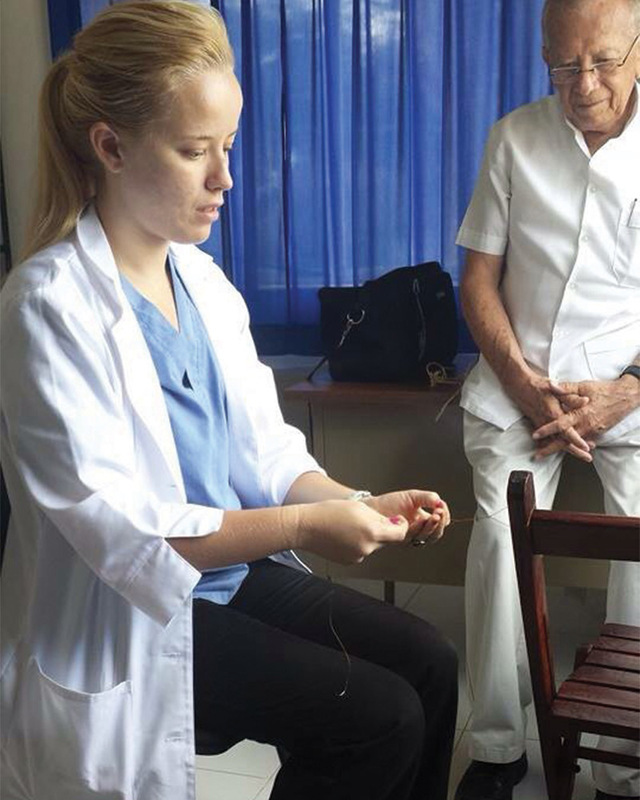 All those experiences confirmed her career choice; she plans to work for a year before applying to physician assistant schools. When she wasn’t doing medical work at Austin College, she was a Sallie Majors Intern, an ACtivator, and a youth director at Covenant Presbyterian Church in Sherman. 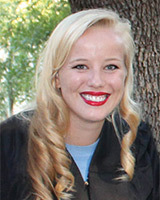 She also was a co-captain of the cross country team and a member of Omega Zeta sorority. 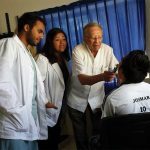 According to Jack Pierce, McGaw Chair of Health Sciences at Austin College, the Medical Experience in Mexico January Term began in 1985—supported by the Trull Foundation of Palacios, Texas, that year—and every year since. 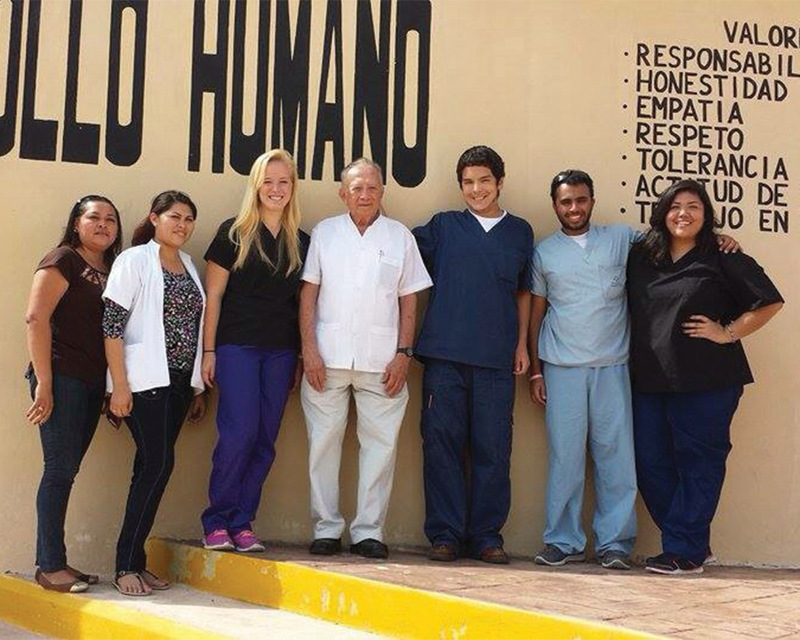 Four Austin College pre-medical students who have good Spanish-speaking skills are selected each year to travel to the rural clinic in Piste, Yucatan. Most have become doctors; a few, like Christine, have pursued physician assistant or physical therapy programs. 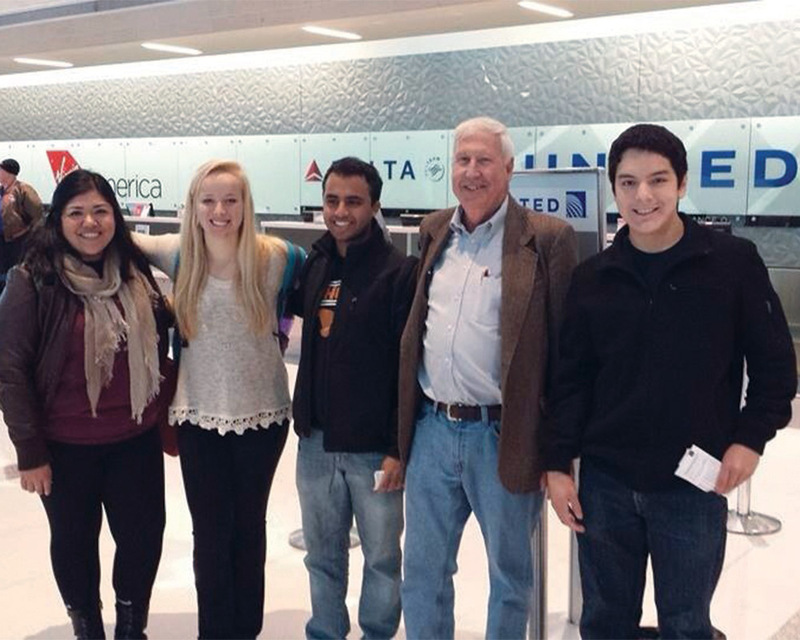 Some 120 Austin College students have been welcomed by Dr. Perez. The doctor himself had not been out of Mexico until Austin College brought him to campus in October 2005 to celebrate the 20th year of the JanTerm program. 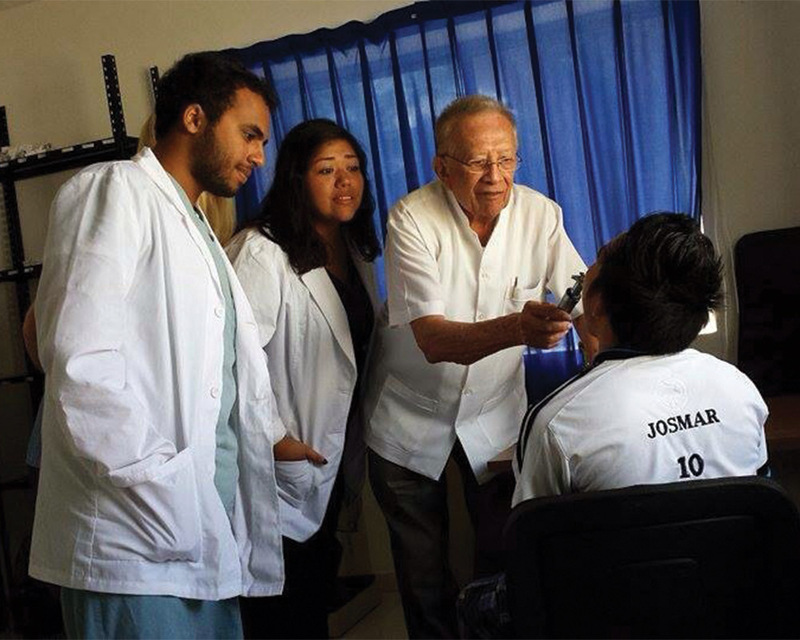 Through that partnership, Dr. Perez and his tiny clinic have helped launch the medical careers of many alumni.